Fibred accretions of quartz with other minerals use for making of jeweller decorations. Eyes stone are cut as cabochons. Tiger's-eye - Quartz of beautiful golden-yellow gold or golden-brown color, with a silky ebb, caused development of goethite on the oriented including of crocidolite as a result of oxidizing processes or thinnest ductings, appearing at lixiviating of crocidolite and filled swamp ore. A goethite (swamp ore) is an oxide of ferrous iron (Fe2О3) 89,9%, water (N2o) 10,1%, givings the stone of yellow, gold, brown, gold yellow color with silky iridescentness (Tiger's-eye actually painted ferruginous ferrous iron). Beauty is largely determined iridescentness of these crystals. 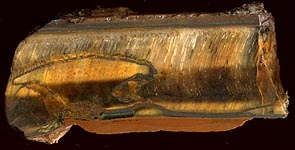 In a tiger's-eye a crocidolite collapsed already, the ferrous iron included in him had oxidized to the goethite. 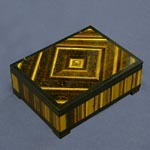 Therefore Tiger's-eye can be located next to a falcon eye, forming a noticeable enough and beautiful transition. 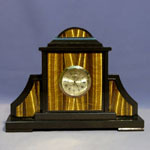 Most has wide light bars of with irisation and as few as possible of black including the road of Tiger's-eye. 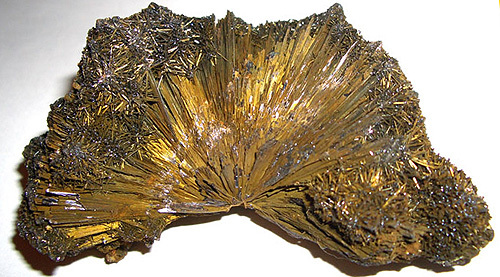 On a photo down separate goldish joints of crystals of goethite (swamp ore) is also resulted with the small including of crystals of quartz from the Volodarsk-Volynskoe pegmatitic field, Ukraine, CIS. 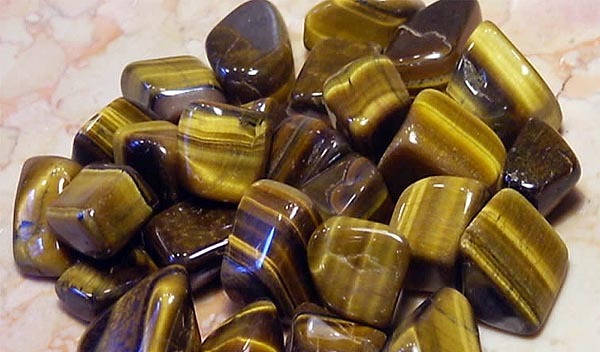 If a people dedicates the life businesses, Tiger's-eye will help to attain him large tops, will guard a proprietor from dishonest partners, will help to make handsome a profit from transactions. But such stone helps only to the active, independent and purposeful people. If a lazy people carries such stone as a decoration, there will be a permanent internal fight in him: stone will burden him. As a rule, such people lose these stone in course of time, because can not appreciate at its the true value all of their properties. All of these stone are provided with powerful enough power potential. Due to it they are considered the best amulet, charm, talisman. The mighty guarded, able to change a people. At a danger he presses on a finger, if he is carried in a finger-ring, and if it is a coulomb, it becomes notedly heavier; beads in this case become as though close. Besides he rescues from jealousy not only in love but also on service. 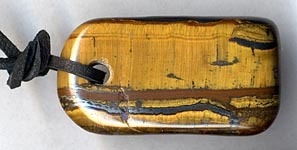 Tiger's-eye is a talisman all, who in any case is related to trade or commerce: it removes competitors actively. Stone also talisman those, who is related to information and its use.